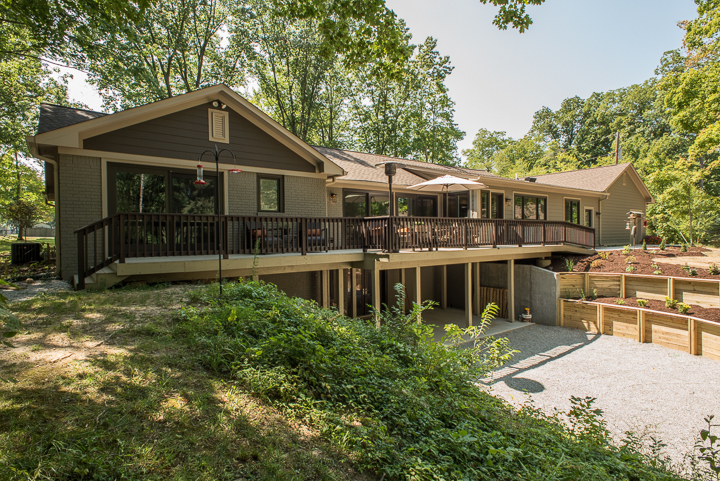 Here you can find remodeling and construction projects recently completed by Thomas J. Pearson Inc. Click the project titles or images to see full project descriptions and galleries. Full project description and before, during, and after photos. Before this whole home remodel, the kitchen and other rooms were rather dated. The house was not as open and accessible as the client wished it would be. We remodeled nearly every room in the house including the kitchen and two bathrooms to create a conducive and stylish update to the client’s home. This growing family wanted to update their basement to provide a relaxing space to watch TV, study, and do laundry. It features a small built-in desk, a new bar, a completely renovated bathroom, a TV area, and an updated laundry room. In this project, the client wanted to make an arts and crafts themed first floor. First, walls were torn down to open up the space. To carry the arts and crafts theme throughout the first floor quarter sawn cabinets and a hand-scraped wood floors were installed in the kitchen, new arts and crafts columns were added.. These homeowners wanted to get the most out of a home addition and bathroom remodel. After the project was completed, they ended up with a gourmet kitchen, a remodeled basement, a sunroom, and a master bathroom remodel. This project involved a complete renovation of a turn of the century Indianapolis home. We created a new kitchen within the existing space, which matches the existing home architecture and details, including new enlarged arched opening, quarter-sawn oak flooring, and cabinetry and lighting that matches the period of the home. This 24’ by 22’ addition opens up the the first floor space with an additional room that connects to the kitchen. The newly constructed space serves as a living room/sunroom. The kitchen of this historic Irvington home in east Indianapolis was expanded to create an open flow and additional space. A former butler's pantry, closet, and load-bearing wall were removed, and a new steel beam was added to open the space. 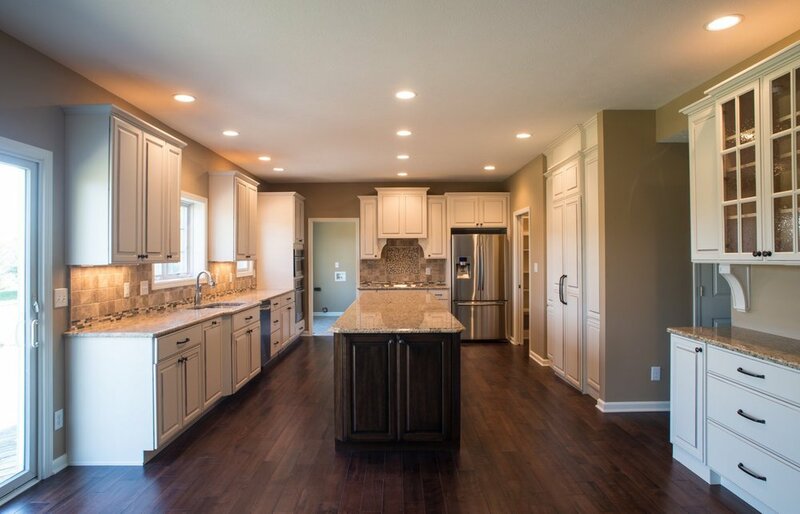 Some existing cabinetry was re-purposed, and new cabinetry, trim work, and granite counters were added. The home now boasts a traditional yet functional and modern kitchen.